THE FINANCIAL PHILOSOPHER: What is the Price of Pursuing Happiness? What is the Price of Pursuing Happiness? If happiness "happens," what does that say about all the time and money we put forth for the purpose of manufacturing it? In addition, the energy spent on the acquisition of more money for the ultimate purpose of pursuing happiness has a non-financial cost that you must consider for yourself. The tragedy is that money can buy pleasure (e.g. chocolate cake, a vacation, the acquisition of material objects) but pleasure is quickly consumed and leaves us hungry for more. Paradoxically, we seek to fill the empty spaces but instead we make the spaces larger and increasingly difficult to fill. We continue, then, to seek happiness but never fully realize that happiness can not be found -- it happens to us, it is accidental. What is the price of pursuing happiness? Perhaps a better question to ask is What might you gain if you stop pursuing it? Meaning, fulfillment and purpose all come to mind. Is it possible that happiness could be the lowest form of human gratification? Greg, I agree. Meaning, fulfillment and purpose are all opportunity costs of seeking happiness. 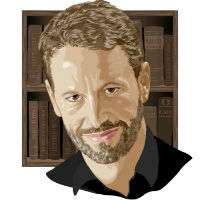 If you want you can check my site too (http://www.devilandgod.com/) to discuss about philosophy. Critics argue that the Bhutan government’s implementation of a country-wide pursuit of happiness will mean sacrifices in material, or financial, growth for its people. Given that a majority of the people in Bhutan still live in poverty relative to the rest of the developed world, the critics may be right, but is the pursuit of happiness an unrealistic goal?